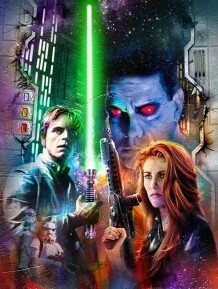 Mara and Luke with Thrawn in background. . Wallpaper and background images in the Mara Jade Skywalker club tagged: starwars marajade lukeskywalker.